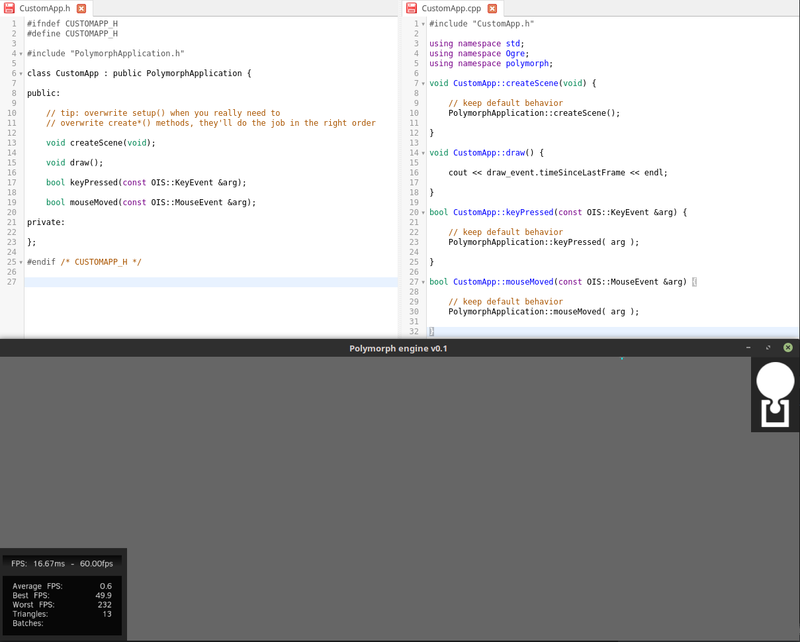 Here is the output and the code of the empty example. It is using polymorph package. Once installed (the tricky part, soon fixed with a magic installation script), you just have to extends PolymorphApplication class and start working. As you may notice, the class CustomApp does nothing on its own. It just calls the mother class’ methods. The purpose of this empty project is to enlight crucial methods to overwrite in order to start coding something. I’m now working on a basic example, showing how to add primitives, load meshes, add lights and animate them. @xuv & @balt : i think it’s important to be obvious on what is polymorph and what is ogre by keeping the namespaces as they are. For instance, creating a PNode requires to call polymorph::PNode. When you want to create a vec3, there you have to call Ogre::Vector3. In the example above, the using namespace is only used in cpp => for all class params (.h), they have to be set this way. It will be explained in the basic example. i’ve started working on a “PObject”, wich is a common ground for PNodes, PLights and PSounds. It’s a abstract object defining anyhting located in the 3d world, with possibility to attach them together or add physics on them. 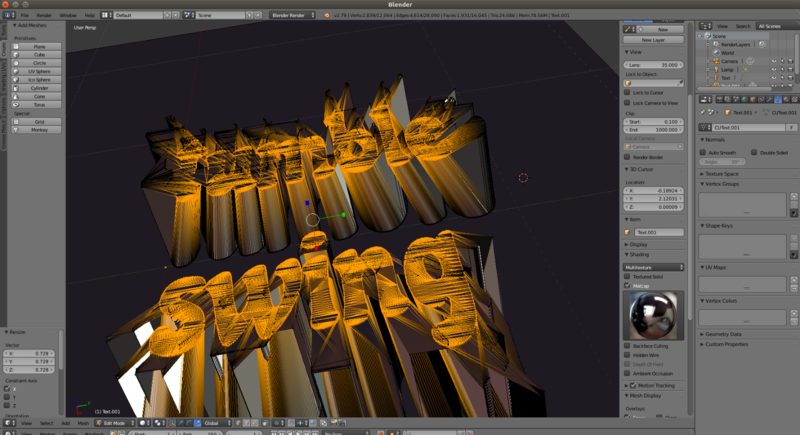 Result: ultra tuff conceptual work, using an abstract class + a template class for PObject – will work in a few days.